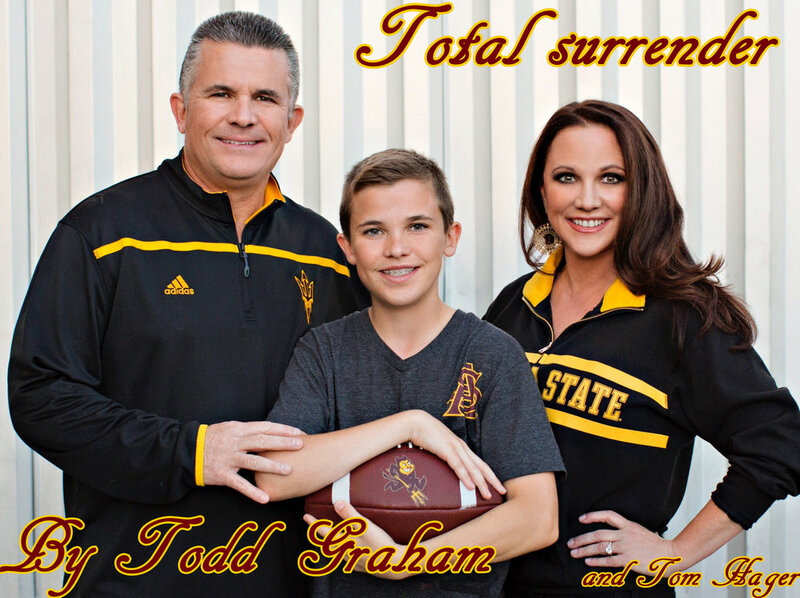 It was November 26, 2017 and I had just lost my job as Arizona State's football coach. I didn't understand why it was happening...we had just finished the regular season with a winning record at 7-5. We averaged nearly eight wins a year over the previous 12 years. And yet here I was, out of a job. But my will isn't God's. At this point in my life I had totally surrendered to what God was telling me. People might think surrender is a bad word, but when it comes to putting God first, surrender is the only way. And even though hardly anybody does a press conference when you get fired, God led me to do that. It was an opportunity to show people Jesus Christ, and to show them how you handle tough situations. Throughout the day my players were coming into my office crying, and it was emotional for all of us, but I needed to go in front of that podium and express my gratitude for ever being given the opportunity to coach there in the first place. But I also had to mention something else. “I didn't build this place to tear it down,” I said at that press conference, and I meant it. Despite any bitterness or resentment I might have felt in my heart, I was determined to cheer for the players. After all, I had recruited all of them to come there. I wanted to make sure I kept a respectful distance so as not to become a distraction for them, but I knew God had compelled me to remove any bitterness in my heart. In fact, my successor is Herm Edwards, who is a good guy, and I left a note of encouragement underneath his door after their loss to Washington. My path has certainly straightened out over the last year. God restored my soul. I have gotten to spend more time with my family than I ever have before, and for the first time in years I've had plenty of time to sit down and talk with God. One of the things that stuck out over the last year was just how many people reached out to me. How many former players, administrators, assistant coaches, and friends wanted to check in on me and make sure I was doing okay. Even though I was doing fine, it was great to see how many people wanted to show that they cared. So when it came time that a friend of mine was actually in need, I knew I had to return the favor.